The International Brotherhood of Teamsters, a union representing 1.4 million members, is fighting tooth-and-nail against the legal implementation of autonomous trucks in the US. Last week it successfully lobbied Congress to place a 10,000 pound weight-limit on current driverless vehicle legislation. The legislation represents a rare example of bipartisanship under the current administration; it passed with a vote of 54-0. It also paves the way for cars without drivers to occupy our roads. The new bill will limit US States’ power over self-driving car regulation, require the National Highway Traffic Safety Administration to draft legislation specific to autonomous vehicles, and provide exemptions allowing companies to put unmanned fleets onto roads ahead of full-scale safety regulations. It seems like the only thing keeping human drivers in the trucking business right now is politics, and the Teamsters are pulling out all of the stops to protect union members. On the Teamsters website you’ll find links to studies stating most people are reluctant to embrace driverless cars –this is in contradiction to others, which claim the opposite. The Teamsters also speculate robots will cause hazardous waste problems if human truckers are replaced. No matter how you feel about autonomous vehicles, they’re coming soon. 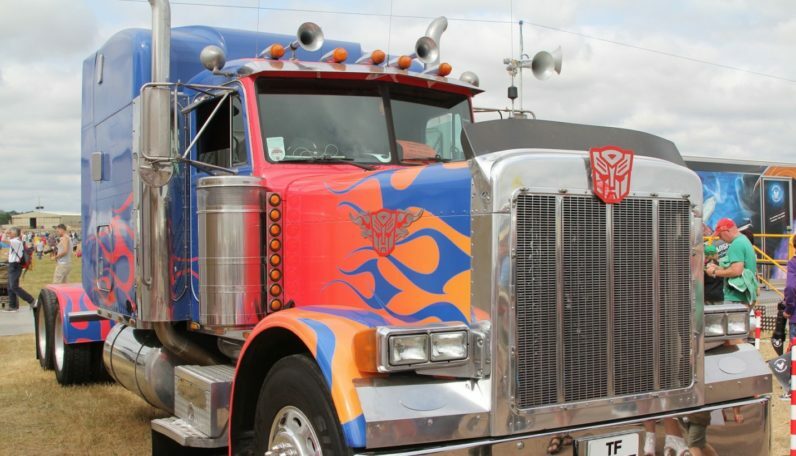 Luckily for truckers, the Teamsters are successfully keeping Optimus Prime out of the picture for now – the Autobot leader is definitely over 10,000 pounds.